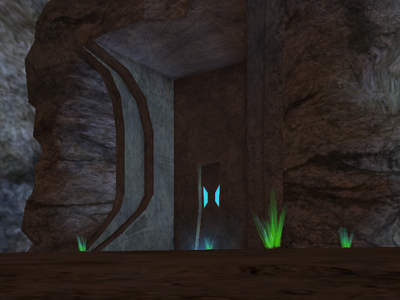 To get to Arid Rift, head around the right hand side of the ravine. Head up the ramp at 362 x 449, Central Gateway. 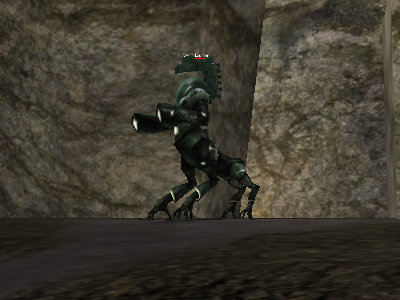 Then past Unicorn Advance Sentries who are killing level 210 Alien Larvae. 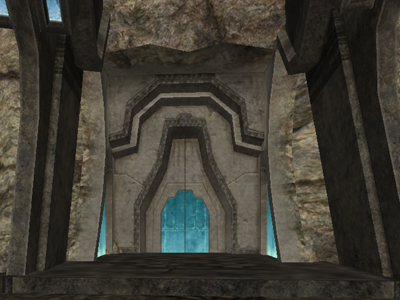 You should then reach the portal for Arid Rift. 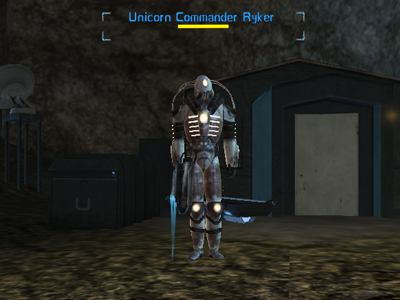 From entering the area through the portal, the first person you will see is Unicorn Commander Ryker. 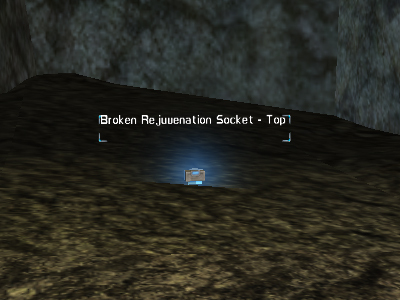 Also to note in this area is that there is a save terminal located at 284 x 900. 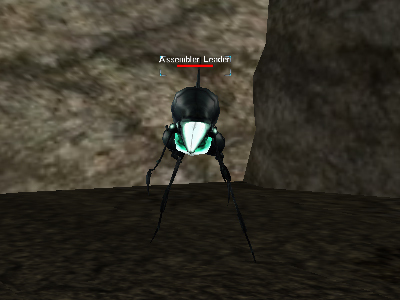 These can drop from all the aliens in the zone, but seem to have a very nice droprate from the Assemblers in particular. Opening dialog with Ryker will complete your mission to find him, which was set by the Unicorn Coordinator on your way into the Xan Hub. Ryker will give you a mission to find a troop of Unicorns that are out in the field. Apparently, they haven't checked back to and he wants to know what's happened. 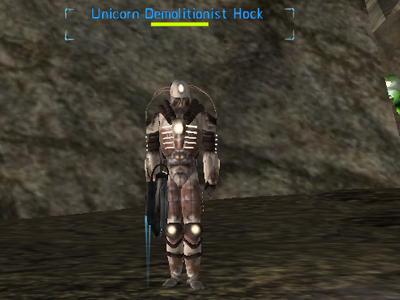 Your contact to go and find is Demolitionist Hock. If you upload your mission to your mini map, you will see that the area you need to get to is through a large fence. The fence is located at 314 x 895. Unlike other "Darwin" fences within the Xan playfield and the Alien Outzones, this one is safe to go through, its tuned to keep the aliens out of our safe area. Heading through the fence will bring you almost immediately into contact with aliens. If it was as easy as just fighting your way through, things could get boring -- instead there are a couple of alien types you need to look out for because they do special things that could end up sending you to reclaim if you are caught unawares! 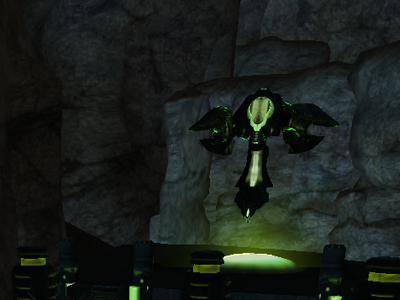 Firstly, Regeneration conduits. 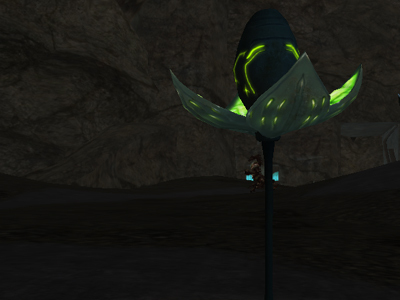 These help the aliens heal, so when you see one of these, take it out before you attack the aliens around it. 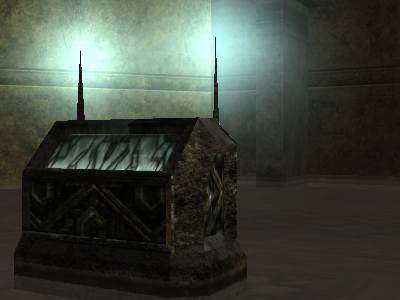 Also, Alien Scoutships -- when you attack this, aliens spawn out of it. It will also attack you. When you speak with Hock, he will tell you that they are having trouble extracting information they need because their equipment is being jammed by alien cocoons. You have to kill 3 alien cocoons, which you will find just further north east of Hock. Alien Larvae will spawn from the cocoons, but Hocks men should help dispatch them if you are stood close enough for them to see them. When you have taken all 3 out, return to Hock. He has already started the transmission, but as usual there are still problems. The location given via the upload to map waypoing for this mission is "approximate". However, if you look at our map for Arid Rift you should see the long pink line from the waypoint and along the ridge where you can find the crystals you need. As you can see in the image above. 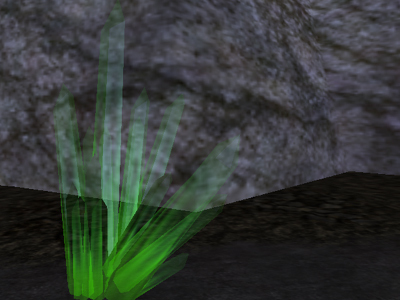 The "named" crystals seem to be a slightly greener version compared to the other non named ones. When you have gathered your 4 shards in the correct order, return them to Hock, as well as the tool. 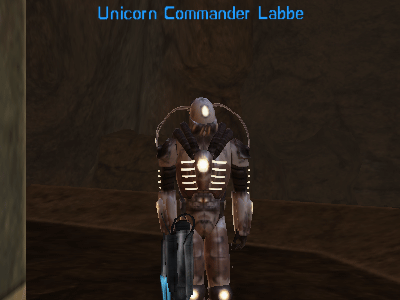 Now it's time to return to Unicorn Commander Ryker in the staging area and give him a status report. When you have had a chat with him, he will give you your next mission. 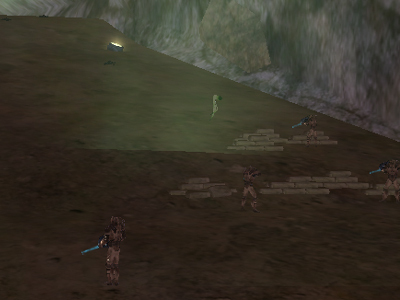 Ryker wonders what happened to the unit of Omni-Tek AF soldiers sent out on a mission to kill a specific alien. Your next mission from him is to find the alien and get a status report. He wants it dead and buried! When he gives you the mission, again you can upload mission coordinates to your mini map. 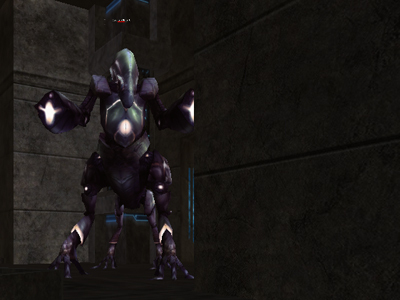 The alien looks like a slightly smaller version of a city alien general, you basically just need to kill it. We didnt notice any special attacks, it died quite quickly. When you have killed it, head back to Ryker again and he will reward you for completing this task. He has another task for you; apparently they have been working to find a way to salvage technology from kamikaze units. 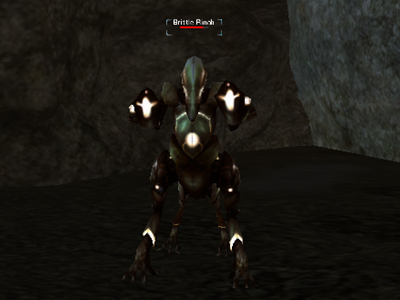 He wants you to take an interrupter tool, head out to the canyons in search of kamikaze dusters and then to kill them. Location: approximate area 501 x 908 ish. To work towards completing this mission, target the Kamikaze Dusters then right click the Interrupter tool in your inventory. Failing to hear the "pop" text in your vicinity text could mean that the Dusters will self destruct and you will have to wait for another spawn. 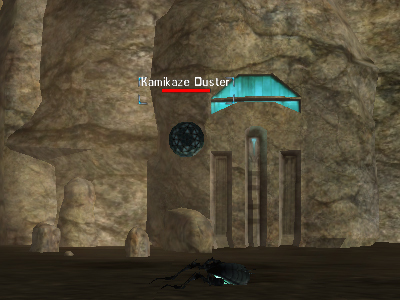 Remember to use the interrupter tool on the Kamikaze Dusters before you kill them, or they will self-destruct! The items are not 100% drop rate, but sometimes corpses have multiple items on them. When you have found all three, head back to Ryker and trade him them plus the tool. 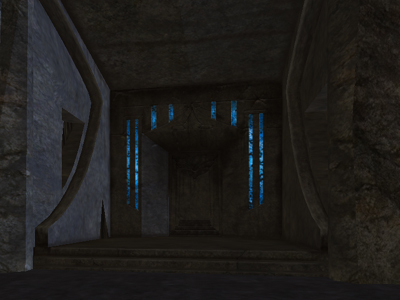 Next up, Commander Ryker suggests that the researchers stationed in the area might have use for you. 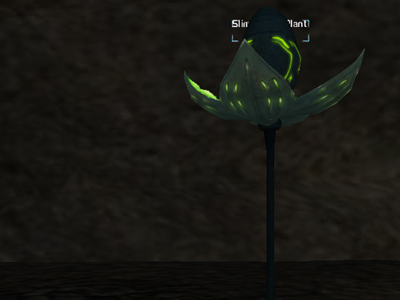 Apparently they are here in Arid Rift to investigate the occurrence of Xan structures. Let's go and have a chat with one of them. 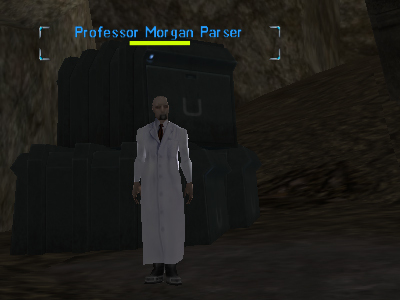 Professor Parser, following being "impressed" by my persistance, decided that I could assist in the research. Now you have found all four ruins and examined them, return back to the professor. Tell him you have visited all the major ruins and describe them to him. Return your maginifying glass and feel free to ask him to brief you if you wish to continue missioning! 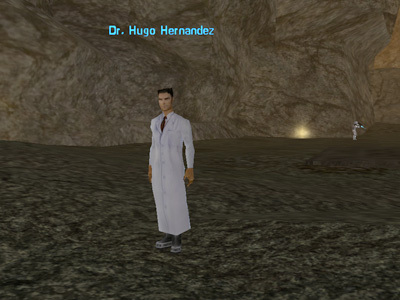 The professor wants you to go into the caves and seek out 4 aliens of a specific type. He wants you to collect an epithelium tissue sample from each of them. To gain your sample, you need to target the alien and right click the Epithelium Biopsy Mixer that the professor gave you that is in your inventory. 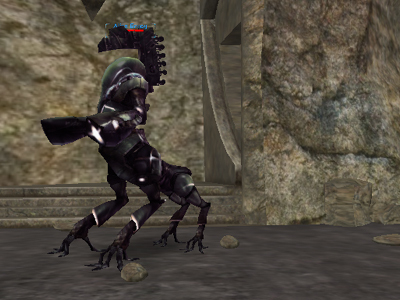 NOTE: 2 aliens spawn each time you or your team take a sample from this alien, if you are a team of 6.. try not to all gather your sample at the same time, otherwise you will get 12 adds on you! Tradeskill together the Epithelium Biopsy Mixer with the Epithelium tissue sample from the Brittle Cha. Then target the Brittle Rimah with your Epithelium Biopsy Mixer (1). Combine the tissue again with the mixer, to gain your Epithelium Biopsy Mixer (2). Then target the Brittle Xoch with it. Again, take the sample from the Xoch and combine with your mixer to get your Epithelium Biopsy Mixer (3). Then, we need to target it on the Brittle Ilari. When you gain your final sample, combine to make yourself the Full Epithelium Biopsy Mixer. It's now time to head back to Professor Parser with the samples. Give him the samples and he will talk to you for a while. After telling me I look cute, it was time to go to talk to Professor Masoud to see if I could find out any more information about what I was just told. 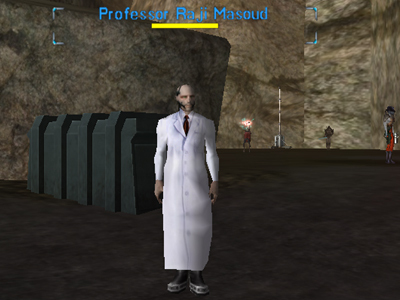 Professor Masoud is waiting to here from a colleague of his who is apparently working out in the field. His name is Dr. Torgrim Ness. and because we are nice, and we want our AXP rewards, off we go to find him! 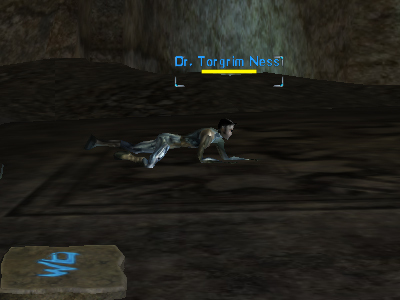 You will find Dr. Ness crawling on a rock. He suggests you waiting 2 days for him to get done to be able to send you off with a report. We can speed it up a little though by offering to do the ground work ourselves. Head back to Professor Masoud and trade him the report. He is very excited at its contents and will give you a lot of information. 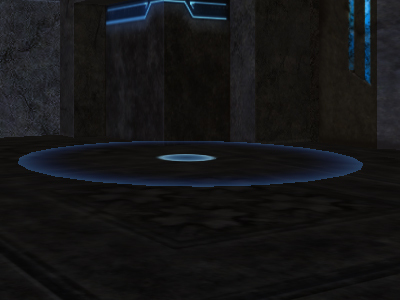 Your mission window should now update to "Talk to Professor Parser". Funnily enough.. that food that was discussed earlier might just be what we are about to sign ourselves up for. Delivery girl at your service! When you get back to Dr. Ness, tell him you brought supplies and trade them to him. Tell him that you need to get a sample of his work for Professor Parser. When he has finished eating, he happily gives you a sealed sample. Return back to Parser and tell him you delivered the supplies, he will tell you that Dr. Ness wants you to examine a well preserved Xan ruin. Your next mission is to search the canyons for well preserved ruins that might conceal a hollow core. If you are in a team, your whole team will zone into the same instance with you. When you get inside, you should update almost immediately. Now that you are inside, basically you need to kill everything and activate all the chests just in order for you to get out! Right click the chests to activate them. 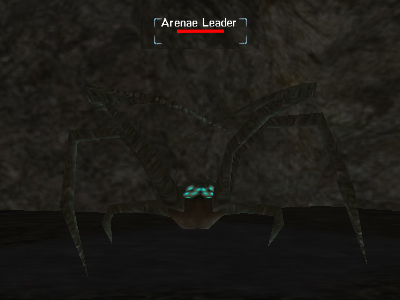 When all the other aliens are dead, your end boss should spawn. The boss, Curator - Rimah'Uri is quite a big alien. He is UBTable though and perks and specials landed. When he dies, your mission should update and you can then leave the building via a portal. 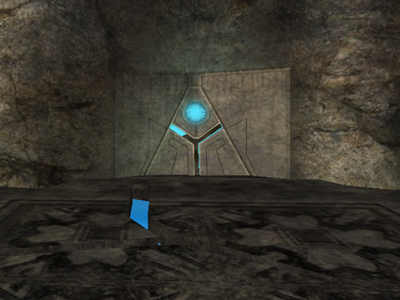 Right click the portal to leave the ruin. You found a ruin that was well preserved enough to enter. Return to professor Parser. When you tell him you need to talk and to tell him about the ruin, he thinks he needs to be telling you about something different... typical men! The professor claims that alien collectors are transporting artifacts from the ancient ruins and wants you to investigate what kind of business they are running. 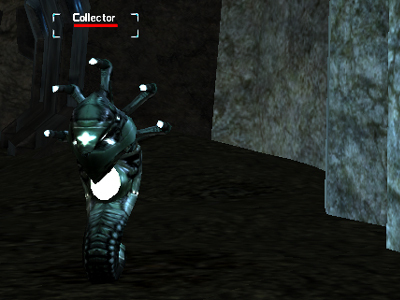 Your next mission is to get your hands on three unique pieces of evidence from the alien collectors. So, your next mission is to kill three Alien collectors to find three items. 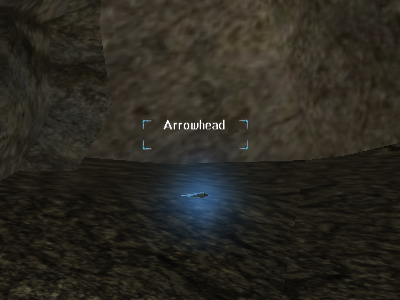 On each kill, a rune will appear in your inventory. Head to location: 271 x 543, you should find a few Collectors ready and waiting! 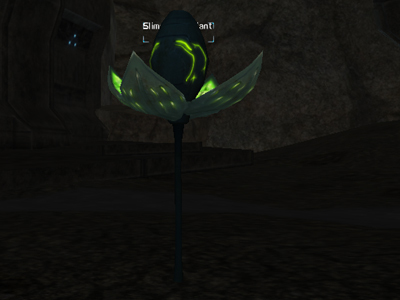 Now you have the 3 items in your inventory, return to Professor Parser. After telling him that killing them did the trick, and trading them to him, Professor Parser claims that he could never have got so far without your help, and doesn't think twice about asking you for even more of your time! Your next mission is to scan four unique aliens in order to confirm his theory. 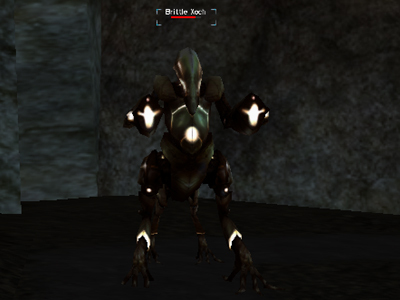 You need to use the Kyr'Ozch Particle Scanner on four different aliens in the zone. 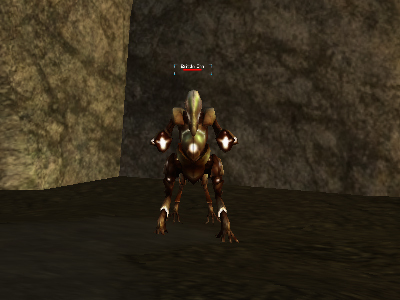 Again, target the alien and then right click the scanner in your inventory. When you have tagged the Vicar, a larger mutated alien called Alien Supervisor will spawn. When he is dead, your mission should update to return to the Professor. Trade him back his scanner, tell him about the mutating alien and then he will give you some air space to talk about the ruin. The Professor will then, at last, give you some more information about the Xan. When he comes to the end of his dialog, you can ask him if there is anything else to do here. He states that a woman has been driving him crazy and that if you can get her to sit still he would appreciate it. Your first task is to find Lindsay. When you find her and speak with her, Lindsay will explain that her friend Charlie has not been in contact. She is concerned about him and when you agree to help, she suggests you try to speak with Sheri Tater at the Canyon Camp. Sheri remembers that Charlie is one of the volunteers that came here by shuttle from the Morning Star, however she hasnt seen him. She suggests to speak with Dr. Hernandez. When you get back to Lindsay, tell her that you talked to the researchers in the camp, but that they haven't seen any trace of Charlie. Lindsay tells you that he had some issues when they were trying to buy their insurance. She still is very concerned. She suggests searching in the central gateway and find someone who could find out where he is. 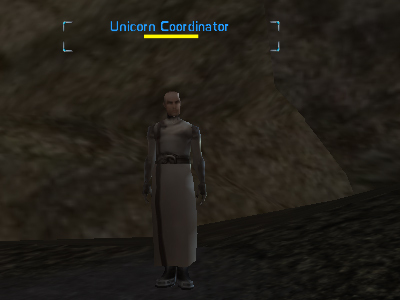 Fortunately, the Unicorn Coordinator inside the Arid Rift area will also allow you to continue this mission, and not just the one outside in the Central Gateway. Also, fortunately for us.. we can *cough* bribe the Unicorn Coordinator with 500k to help us with the information we need. If you don't want to bribe him with credits, you can also threaten him that the media will be told. When you have the information the Coordinator can give you, your mission should update so you can return to Lindsay. Lindsay is still worried about Charlie, so you can now offer to go out into the field to look for him. The waypoint gives an approximate area, the exact place you are headed is 315 x 386. When you get to this way point, target and your mission will update and you should have Charlies notebook in your inventory. When you are back with Lindsay, trade her the notebook. She has a quick look and notices Charlie has written something about a rejuvenation socket. Lindsay asks for you to check out the information Charlie has written about and that if we find it, to tell the researchers at the camp. For this mission, we actually have 2 missions in our tab, both with uploadable waypoints. your mission should also update. Tell the Doctor that you have some information that might interest him. 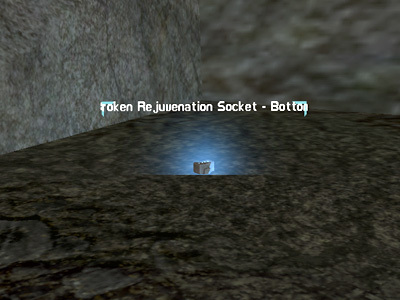 Trade with him the Notebook and the Broken Rejuvenation Socket - Top and Bottom. After a bit of chatting and reading Charlies Notebook, the Doctor asks for you to search the canyon for a specific alien. You should use the data extraction cage on no less than ten Ensign - Iian to get sufficient data. 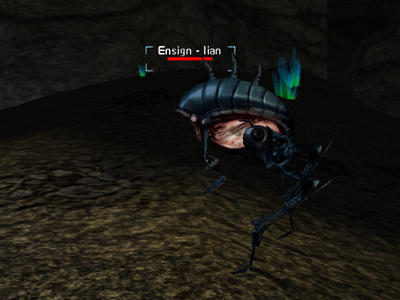 The Ensign - Iian aliens are relatively easy to find, particularly there is a spawn right near the camp where the doctor is. 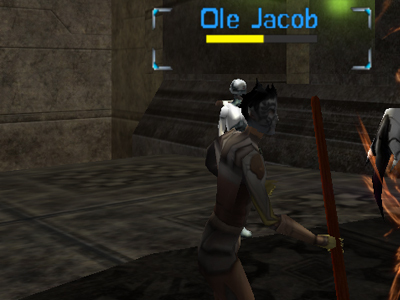 Once you find one, target and right click the "Cage: Data Extractor" in your inventory. This can only be performed once per alien. Once the cage is over the alien, it dies. You should find the Iians around the location 574 x 281, there are also quite a few around the plant specimen locations 339 x 637, 502 x 540, 429 x 653, 511 x 723 and 567 x 646). When you have gained enough data, your mission will update and you need to head back to the Doctor. Tell him that you managed to gather data from all 10 and he will then suggest that you talk to his assistant for clarification on the situation he appears to be in. 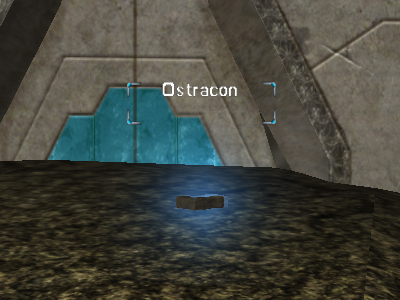 Note: If for any reason you run out of Cage: Data Extractors in your inventory, you can ask for more from the Doctor. 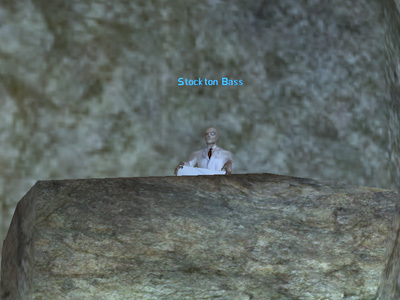 The Doctors assistant, Stockton Bass is located very near to the Doctor on a rock sitting down. After showing you believe in him, Stockton is quite happy for you to conduct some research of your own into his situation. He gives you his Biochemistry Sampling Tool and your mission tab should update. When you find the plant, target and left click the Biochemistry Sampling Tool onto the plant. The plant we are looking for is called : "Slimy Alien Plant"
It is now time to head back to Stockton Bass and tell him what we found out. Maybe he can shed more light on the situation for us. On returning to Stockton Bass, talk with him and return to him his Biochemistry Sampling Tool. 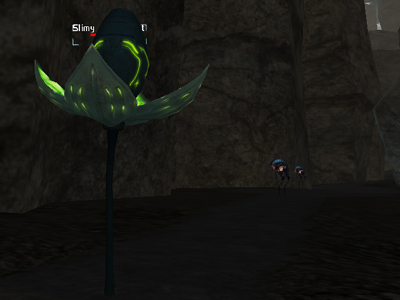 After a little while of chatting, he sends you off to check out an Alien Envoy which is apparently located near to the plants we have just scanned. The alien envoy can be found where the mission marker shows on your map. 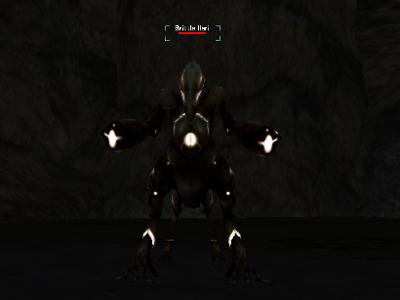 You will notice that the Alien Envoy has a blue name, so talk to it.. or at least try to. It will start attacking you after a short while, so hit it back. When it is dead your mission will update. When you tell him that you had to kill the alien, he wont be best pleased. Infact he wont really want to talk to you anymore. Nevertheless this updates the mission. Relay to him the discussion you had with Stockton. Also tell him about the tests you carried out. After a chat with the Doctor, he suggests you go to speak with Sheri Tater again. Sheri talks with you about the tower structures that are keeping sheilds up and running. Specifically, regarding 3 methods that can be used to disable them. - Spot jamming focuses on one single frequency, radiating intrusive signals to block the towers. - Sweep jamming shifts the frequency repeatedly, allowing the jammer to block a wide range of frequencies in quick succession/session. - Barrage jamming is similar to the previous kind, but with the ability to jam multiple frequencies at the same time instead of shifting things. This is apparently not as powerful. Sheri expects you will be able to take care of assembling some components in order to make the above jamming devices she mentions to you. For this mission, Sheri has given you 3 Modular terminals. 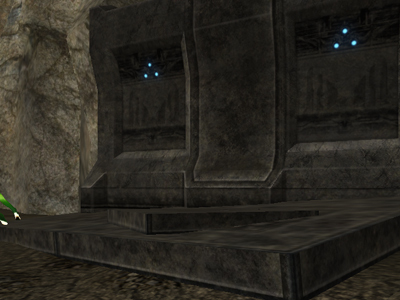 Also, hopefully while you were out and about killing aliens you might have managed to get your hands on the Kyr'Ozch Transceiver and Algorithm's we need to combine them with. If you didnt pick any up.. time to go hunting. The best drops for these items are on the "Assembler" aliens. Step 1: Combine the Modular Terminals each with 1 Transceiver. Step 2: Combine each Basic Jammer with an Algorithm. Now you have all 3 assembled, you need to speak again with Sheri. Tell her you built all 3 jammers, she will talk to you and then ask that you help to interrupt the ship that is being tracked until the Unicorn forces arrive. She hands you a Unicorn Edition: Laser Tagging Device. Your mission is to damage the alien ship enough for the backup Unicorn forces to do their thing, stopping the aliens' plan from being executed. To temporarily disable the towers from refreshing the ships defensive shield, use the three jamming devices. If you are teamed, only 1 person has to use the jammers on the towers, in addition only 1 person ought to use the Unicorn Edition: Laser Tagging Device that Sheri gave you. The Alien Ship, landing pad and towers. So, first things first. Decide who is going to be jamming and who will be activating the device. 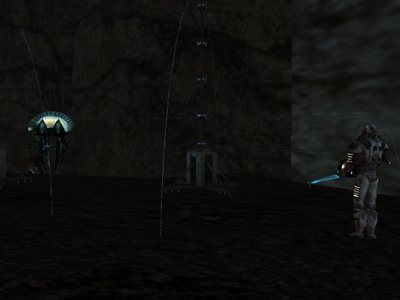 Then, all of the team can go up to get the attention of the drop ship, apart from whoever is using the jamming devices. Once all the jamming devices have been used on the towers (by selecting the tower and r-clicking the appropriate jammer on it) the drop ship will take damage. As soon as it is below 50%, one person can use their Unicorn Edition: Laser Tagging Device which will activate an Orbital strike on it. 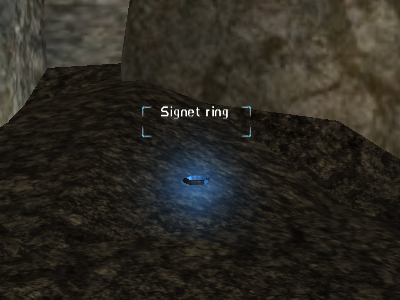 When it goes down, you will receive an item : Strange Piece of Alien Technology. Time to return back to Sheri again. Sheri could apparently see the orbital strike from where she was stood in the reseach camp! You need to tell her that you found a strange alien object and trade it with her. 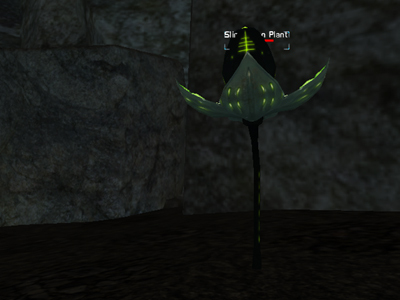 Sheri finds a mechanism on the device.. and manages to release some viral-bots that stream straight into your NCU. She is immediately concerned and tells you to seek out Commander Labbe in the Central Gateway. Interpretation Program is now running in your NCU. Labbe is located at the top of the large structure in the centre of the large ravine within the Xan Hub. You need to tell him that Sheri told you to go and find him, although you arent likely to hear much of what he is saying... because suddenly you can feel the unmistakable sensation of Time and Space bending. You were suddenly warped mid conversation with Labbe. 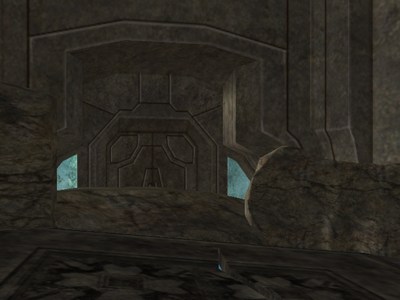 Within the room, you need to speak with the Kyr'Ozch Envoy. Also obtainable within 12 man dungeon encounter. 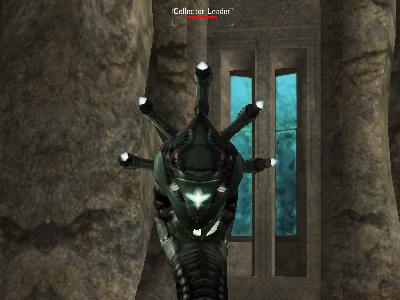 You should also have a new mission in your tab : The Alien Threat. This leads you to Mitaar Hero. 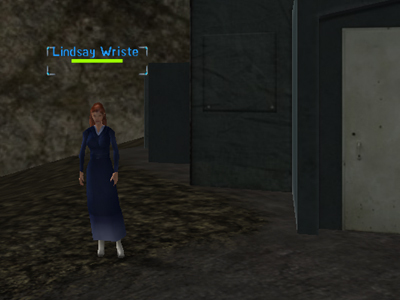 In addition, you can pick up missions from Lindsay Wriste and Sheri Tater. Information and research provided by the AOU team. Special thanks to members of Omni-Pol RK1, who joined in the research -- especially Tarels, Scenegg, Tethien, Feyad and Thegenerator. 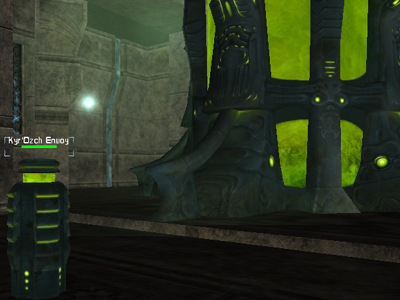 Thanks also to Ophiuchus, Bramage and Tinkerz for accompanying us on "The Corruption" mission.